Your dream beach home! 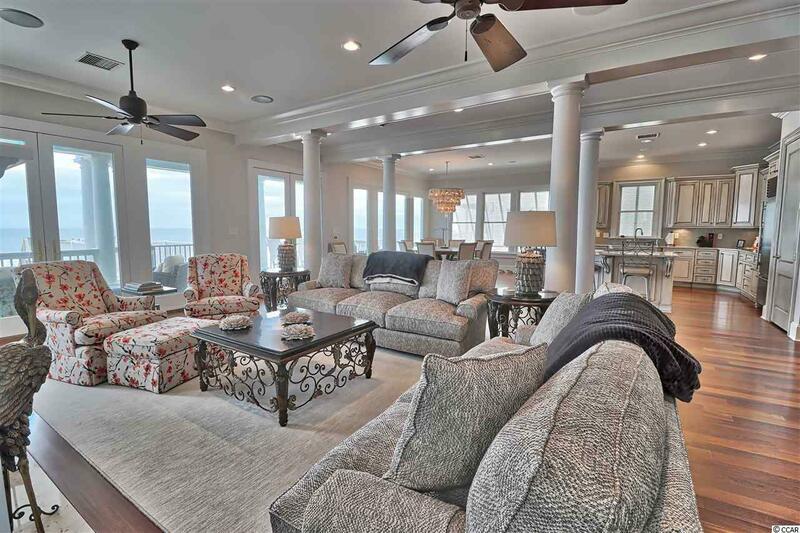 Simply the best of the best, ocean and creekfront home at The Peninsula at Inlet Point South! Over 5500 heated square feet of living space in this Frasier Wall custom built home that was recently updated! Enter through the front porch overlooking gorgeous creek and marsh views. The entryway foyer will take your breath away as you look through the house to the beautiful Atlantic Ocean. Each of the 6 spacious bedrooms has its own private bathroom. Choose if you want your master to overlook amazing sunset vistas over the salt marsh creek or breathtaking sunrises over the Atlantic Ocean! The living room is open to the kitchen and dining area, featuring a fireplace and wet bar for entertaining family and friends! Gourmet kitchen has stainless steel appliances including double oven, cooktop and granite countertops. The second story has a large living room with wetbar, office, 4 bedrooms with bathrooms and spiral staircase up to the loft! Boaters rejoice! 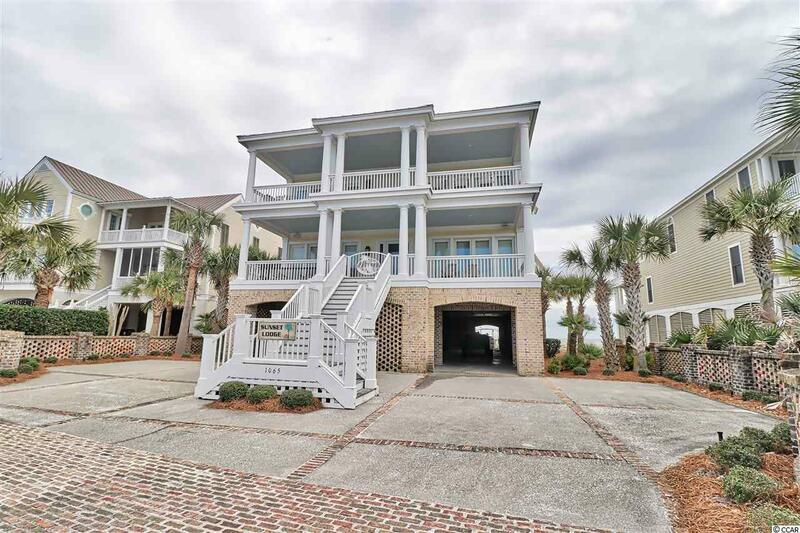 This home comes with a shared dock on the creek so you can catch flounder for dinner! Relax with a cool drink on one of the spacious double deck porches both front and back. Other features of the home include IPE decking, elevator, beautiful Brazilian hardwood floors upstairs and down, large laundry room with two washers and dryers, and more. 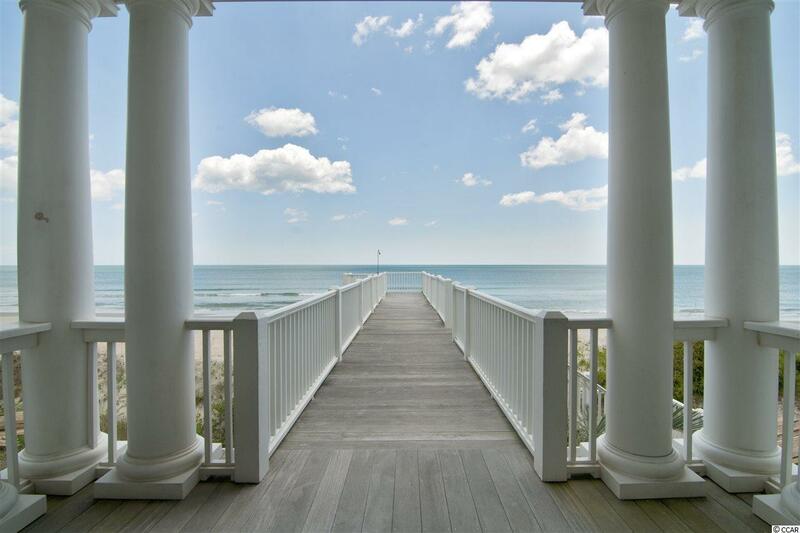 The Peninsula at Inlet Point is a prestigious gated community on the south end of Litchfield Beach. Owners enjoy access to the private pool and private boat launch. Litchfield is a quiet community on the SC coast just north of Pawleys Island. It is just a 75 mile day trip to Charleston, SC or a 25 mile drive to the attractions of Myrtle Beach. 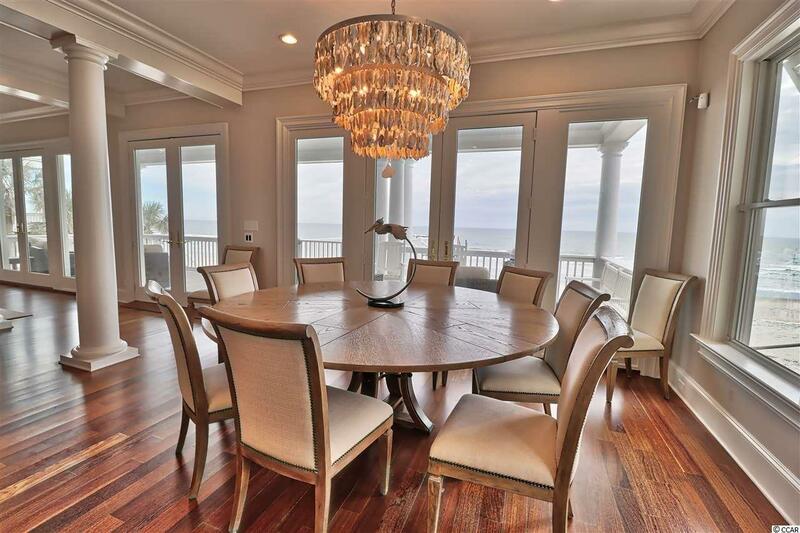 Don't miss this opportunity to own one of the finest Oceanfront homes in all of Georgetown County!